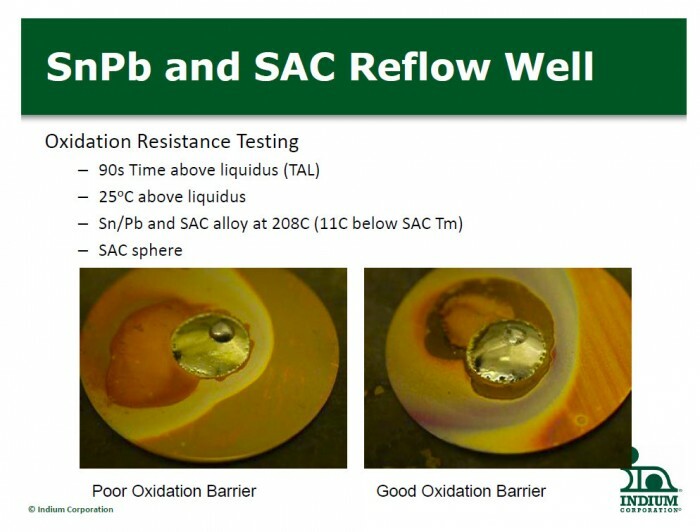 As with Voiding, when using Mixed Technology, Start with a Good Solder Paste - MTE Solutions Inc. As with Voiding, when using Mixed Technology, Start with a Good Solder Paste - MTE Solutions Inc. This post just reinforces the idea that using a good solder paste is a key part of any soldering application. 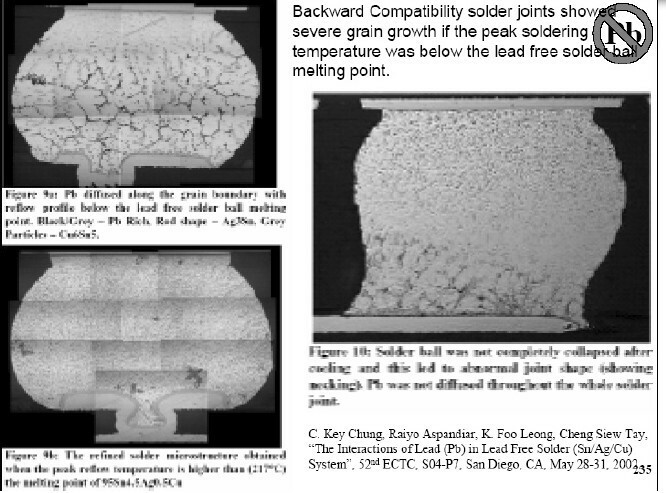 Using the wrong solder paste can lead to issues such as voiding. To read more about that issue, click here. Patty was walking to her office as she saw Professor Ulf Gabrielson pass by. “What an impressive older gent, ” she thought. He had been a contender for a Nobel Prize a few decades ago and still came into the office most days. He was spry 85 years old, or so. As always, the days passed quickly. “The team” was in Patty’s office in what seemed like no time at all. “That’s all true, but we have to be a little practical. Many people have assembled with such mixed alloy systems with success – for a long time now,” Pete suggested. Figure 1. 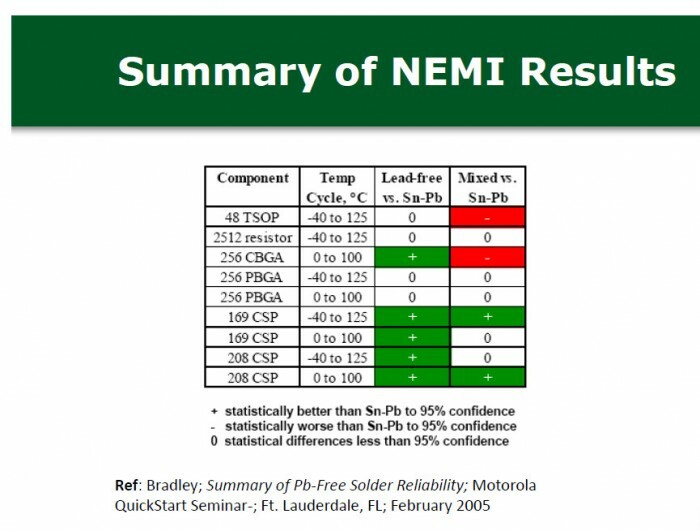 Bradley’s data suggests that mixed tin-lead and lead-free thermal cycle reliability is about equal to tin-lead solder reliability.